People around the world follow Valentine’s Day on 14th February every year. The period from 7th to 14th February is called Valentines Week. The significance of this period is associated with romantic love and lovers. 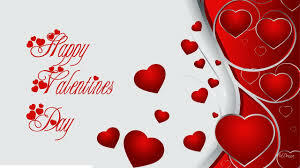 Valentine’s Day is the day when lovers celebrate their romantic love for their person of affection. One can say it is the celebration of love. Valentine’s Day is also called Saint Valentine’s Day, because it originated as a Christian Feast Day, which honored a couple of early Saints name Valentinus. In the 14th Century the day first got associated with romantic love. 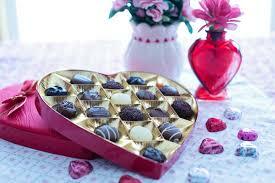 The practice of exchanging greetings cards, gifts, confectioneries started in the 18th century. Although Valentine’s Day is celebrated around the world for a long time, it is not a public holiday in any country, unlike other global festivals such as Christmas, which also originated from the West. When we talk about the history of Valentine’s Day we need to talk about Saint Valentine, on whose name the day was named. There are various beliefs and stories related to the Saint. One story has it that Saint Valentine was a priest in the Roman Empire when Claudius II was the Emperor. During his reign, there came a time when he banned the marriage of young men, because of his belief that single men made better soldiers. Saint Valentine felt this was injustice, so he continued to perform marriages of young men in secret. When the Emperor got to know about Valentine’s actions, he sentenced him to death. Another story suggests that Valentine helped Christians flee from the Roman prisons, where they were tortured. This resulted in his death sentence. Most famous among these is the legend of Valentine being interrogated by Claudius II himself. Since he was impressed by Valentine, Claudius tried to convert him to Roman Paganism. But Valentine refused and instead tried to convert Claudius II to convert to Christianity. This resulted in his execution. Before getting executed, Valentine healed Julia, the blind daughter of his Jailer, Asterius, which made Asterius and his family believe in Jesus and follow Christianity. It is believed that Valentine might have fallen in love with Julia, and had written the first Valentine card to Julia, the evening before he got executed, signing it as “Your Valentine”. This expression later developed into the expression of “From your Valentine” in the modern world. There isn’t any genuine evidence of the Saint Valentine’s Day being connected with the ancient Roman Pagan festival of Lupercalia. However, there are firm beliefs among historians that it must have originated from Lupercalia. The ancient Romans used to celebrate this Pagan festival in the middle of February (13th-15th). The celebration is connected to fertility and purity. The rituals of the festival, consisted of a group of Roman priests assembling around a sacred cave and sacrificing a goat and a dog which as symbols of fertility and purity respectively. They would strip the goat’s hide and make strips out of it, which they used to gently slap women and crop fields, so as to make both fertile. There was also a match making lottery game conducted in the celebration. The game consisted of unmarried women placing their names in a massive urn. This act was followed by the city’s bachelors choosing a name from the urn. The man would get paired with the woman he would choose and later would eventually get married. The spread of Christianity got rid of the festival. In 5th century, Pope Gelasius stated 14th February as Saint Valentine’s Day to honor sent Valentine. Very soon from then the festival became associated with love and affection, initially starting in England and France.